Crape myrtle on the south side of the firestation on Old Troup Hwy. Orange is such a fall color – probably most closely associated with pumpkins, and that favorite Thanksgiving desert, pumpkin and sweet potato pie (yes, pecan pie is also right up there in the favorite category). 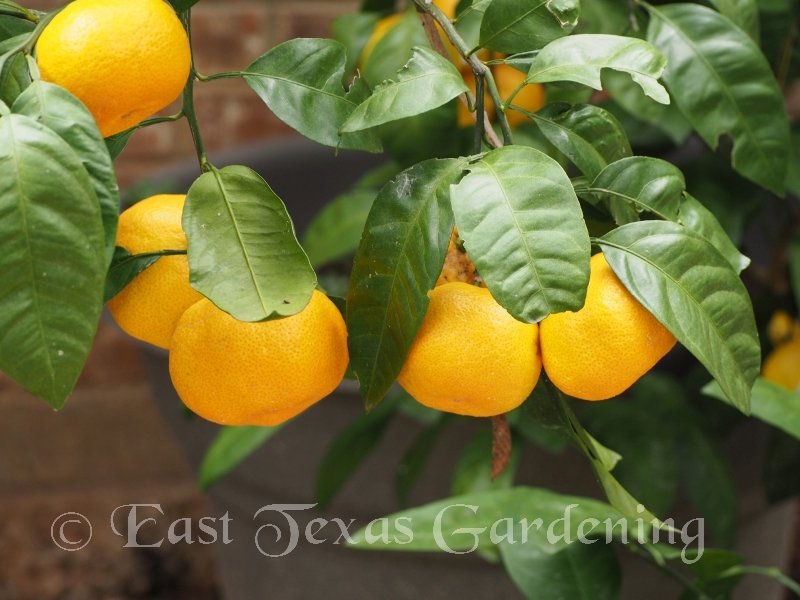 All the fruit off of my Satsuma orange tree has been harvested, ripening during the fall color fest. One of my other favorite fruits is Japanese persimmon, and they are indeed pumpkin orange, also ripening at this wonderful time of year. 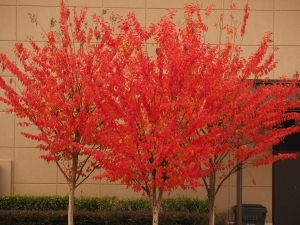 The color orange is not restricted to fruit, however, as several trees and shrubs have glowing orange foliage during this transition time from summer to winter. Here are a few favorites. 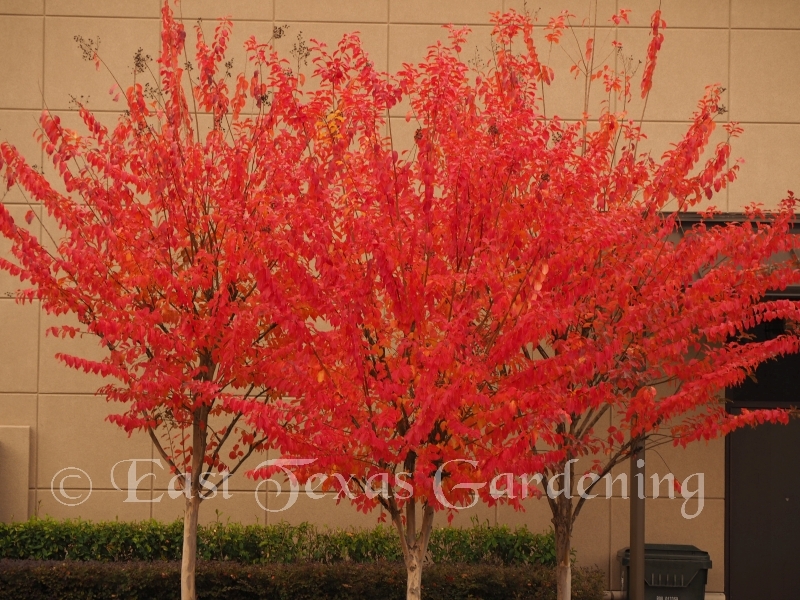 Japanese Maples- Many of the hundreds of varieties of Japanese maples are known for their brilliant orange leaves. Here in Northeast Texas, they typically don't start losing their green chlorophyll until very late November and on in to December, depending on the preceding weather patterns. 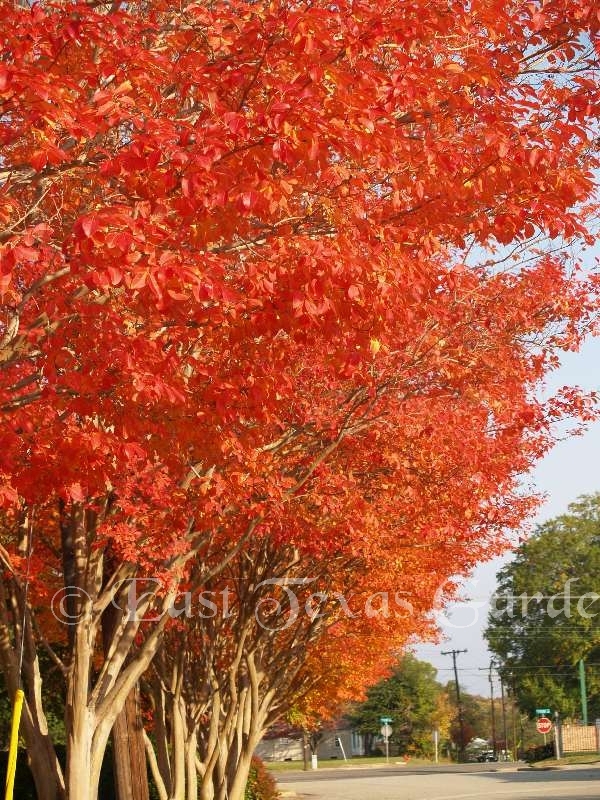 Crape Myrtle – Depending on the variety, crape myrtles can have a wide range of fall colors. These colorful trees line the east side of Harvey Convention Center. I don’t know the variety (they may be ‘Muskogee’), but they are a delight to the eye. 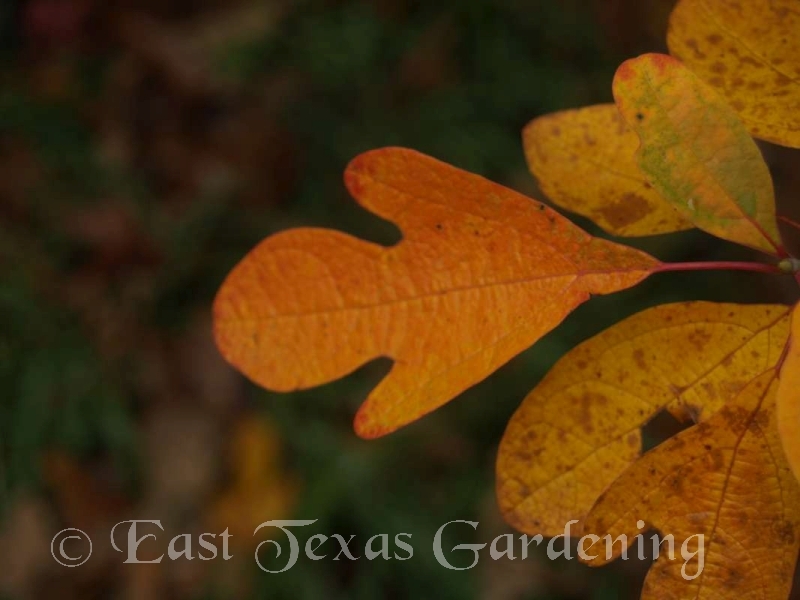 Sassafras – Not usually noticed until it bursts into color, sassafras leaves can easily be recognized by their mitten-like lobes (they can have one, two or no lobes). The small native tree tends to sucker and grow in thickets. 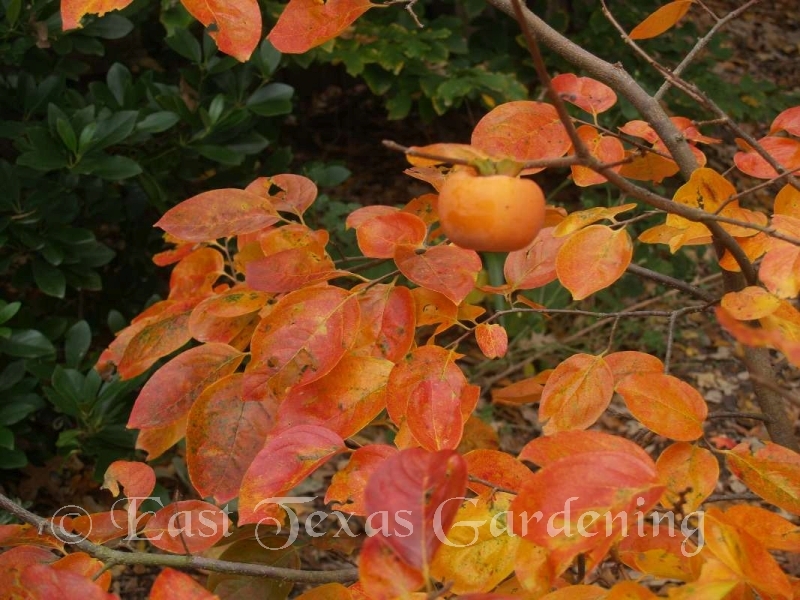 Japanese Persimmon– The very reliable orange fall foliage color compliment the delicious orange fruit, making this an excellent small tree for both the home orchard and landscape. 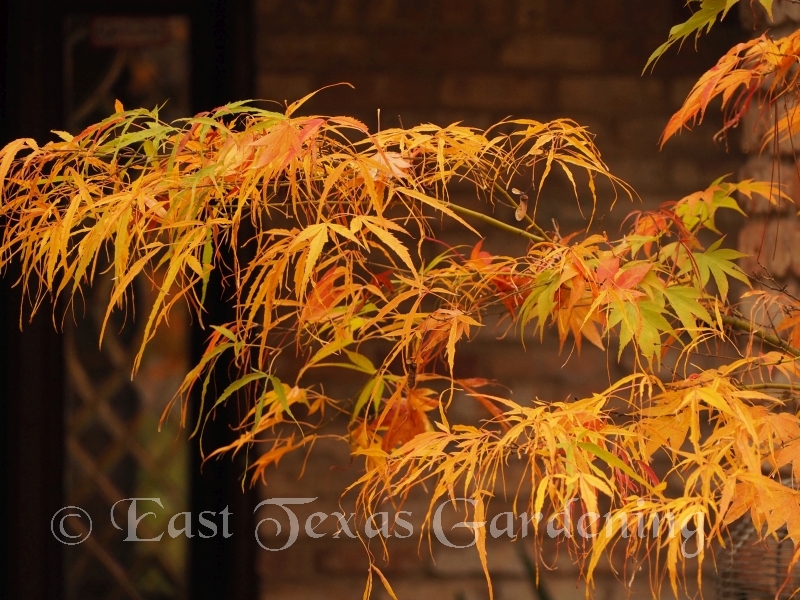 Chinese Pistachio– A medium-large tree that can be counted on for spectacular fall color. 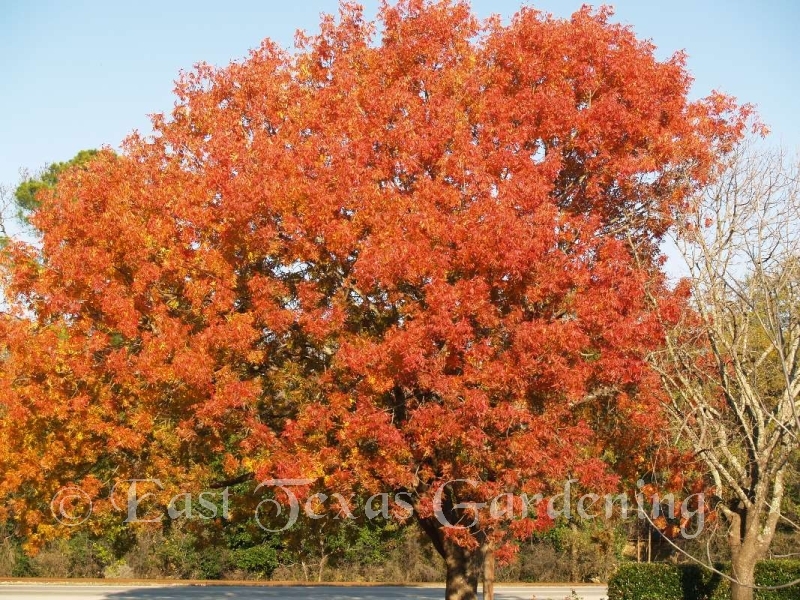 This Texas Superstar tree can be either a male or female, and because of concern for its invasive potential from seedlings, it is recommended to plant only male selections. 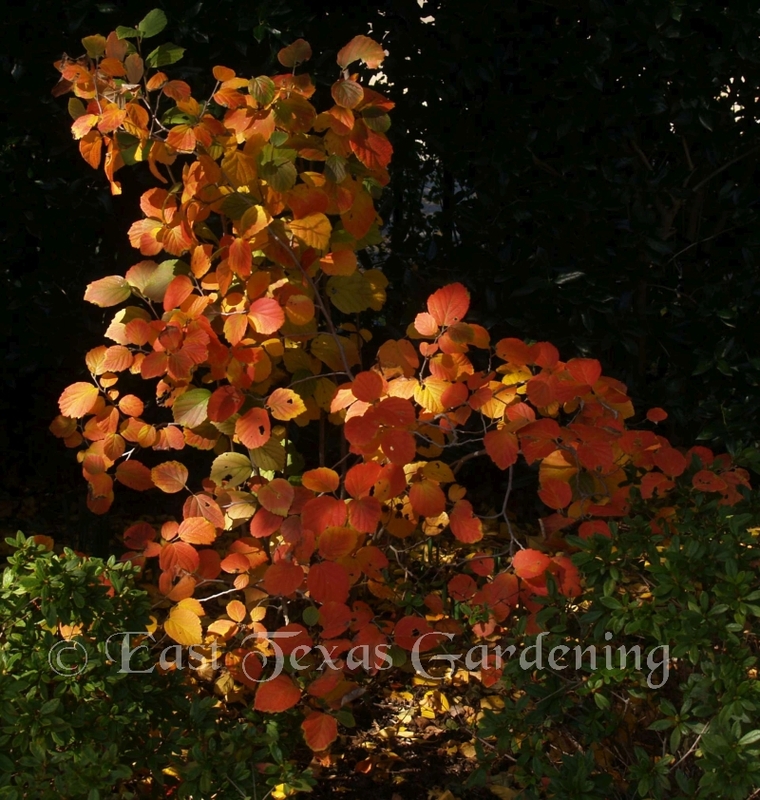 Fothergilla– An attractive, small multi-stemmed shrub, known as much for its colorful fall color of orange and yellow as for its white plumes in the springtime. 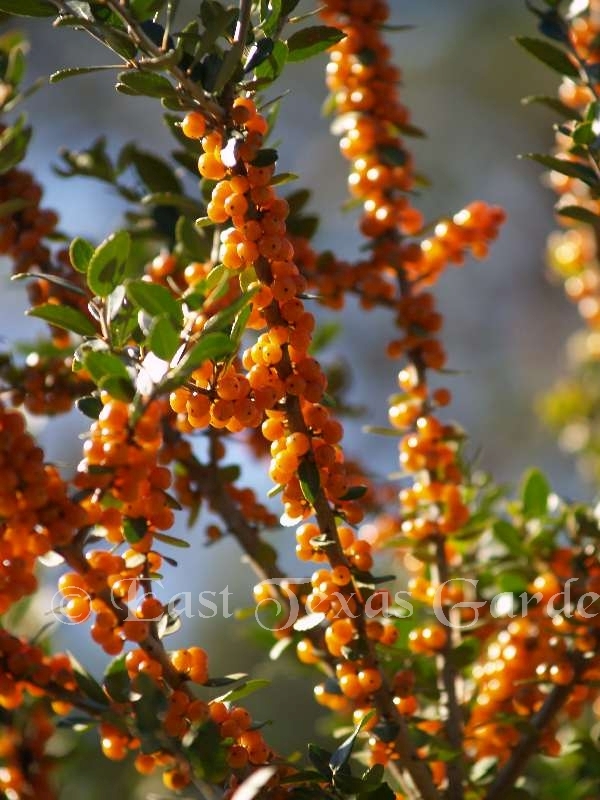 Yaupon Holly – The leaves remain dark green year-round on this common native shrub or small tree, and you probably are familiar with the shiny bright red berries the female plants bear. But the less common variety ‘Virginia Dare’ sports pumpkin-orange berries each fall. This specimen can be found in the IDEA Garden in the Tyler Rose Garden.